Abou Diop - Star in the Making ? No matter how passionate a football fan you are, sometimes watching pre-season fixtures can be an arduous task. Whilst you may kid yourself that a good pre-season campaign will lead to a successful season, this is rarely the case, and despite what the coaches and players say, the results are often irrelevant. This being said, pre-season still gives fans an opportunity to look at their teams new acquisitions for the first time, and obviously I was very interested in seeing how players like Mario Santana, Gianluca Sansone and Alessandro Gazzi would fare in a Torino shirt. However, it was another player who has grabbed my attention during Toro's warm up games, a player who was already at the club (albeit in the youth team), Senegalese striker Abou Diop. After a promising season with the Primavera squad last season, where he scored nine goals in fifteen matches, it was widely expected that Diop would go out on loan this campaign in order to further his development. However, after scoring four goals so far in pre-season, including a second half hat trick against Sappada (he also made me look quite knowledgeable after scoring his first goal literally a minute after I spoke about him on Twitter) both Urbano Cairo and Giampiero Ventura have suggested that Diop may stay with Toro for the upcoming season. Whilst he is still only 18, and it would be quite risky to rely too much on Diop, the fact he has also scored a goal against fellow Serie A side Lazio in pre-season would suggest that he could be a valuable asset at this level. Despite his tender age, Diop is a tall and physical striker with decent technical ability (as you will see on the video below) and is not afraid to try things with the ball at his feet. This unpredictability could trouble defences in the closing stages of Serie A matches, and therefore it is my view that he should stay with Toro, at least until January. Whilst regular football would certainly help his development, training every day with Serie A players (especially strikers like Rolando Bianchi) and making cameo appearances when possible in the top tier will be an invaluable experience for the young striker. You can see a highlight video of Abou Diop below, and considering the fact that Torino have not had many young players come through their system in recent years (apart from Angelo Ogbonna), it is refreshing to once again be excited about a Primavera prospect. Torino will begin the Serie A 2012/13 season with an away fixture at Siena on the 25/26th August, and Giampiero Ventura will be hoping his side can get off to a good start in their return to the top flight. The Granata's first home game will be against fellow newly-promoted side Pescara two weeks later, and therefore Toro will have an early opportunity to gain revenge on the team that beat them to the Serie B title last season. The one fixture that will stand out above all others for Torino fans is the derby against Juventus, and the first 'Derby della Mole' will take place in Week 15 (December 2nd) at the Juventus Stadium. The return fixture at the Stadio Olimpico will take place at the end of April, and being so close to the end of the season, that derby could have even more importance attached to it. Torino will end the campaign at home to Catania on May 19th, and should Toro need a result on the last day in order to avoid relegation, that fixture is certainly a preferable one. 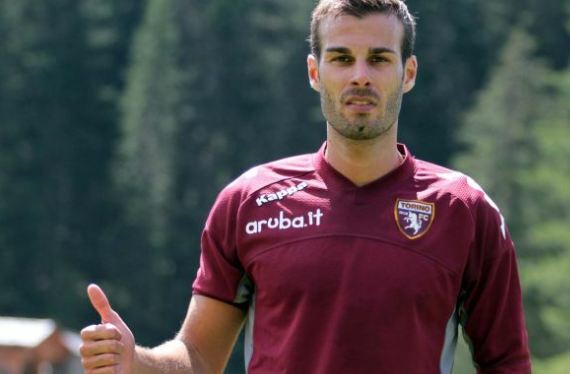 Torino have made another addition to their squad for the upcoming Serie A season, by completing the signing of former Udinese defender Damiano Ferronetti on a two year contract. 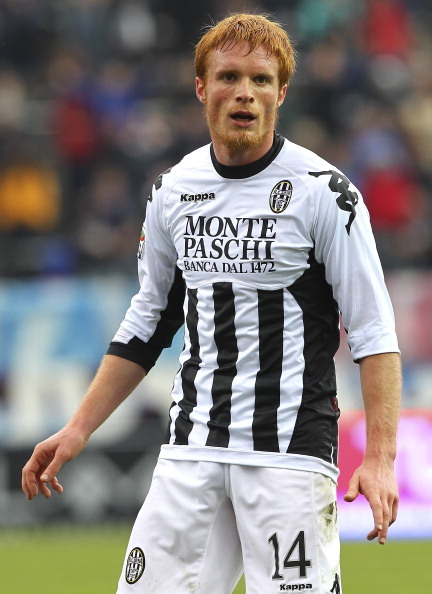 Ferronetti has struggled for fitness throughout his career and missed the entire 2010-11 season through injury, but he made 15 appearances for Udinese last season which suggests those problems are now (hopefully) behind him. Although primarily a right-back, Ferronetti can also play as a central defender and will therefore add some much needed versatility and depth to the Torino squad. Damiano has already joined up with his new teammates at Toro's pre season training camp in Sappada, and played the second half of Torino's first pre season friendly against their hosts - which resulted in a 17-0 victory for the Granata. After a year long chase, Torino have finally completed the acquisition of Siena midfielder Alessandro Gazzi - who will finally be reunited with his former Bari coach Giampiero Ventura. Ventura was interested in signing Gazzi last season, however with the midfielder reluctant to drop down to Serie B, he instead moved to Siena and he enjoyed a good campaign in the top tier with the Tuscan side. However, Torino have continued their pursuit this season, and have finally signed their man on a permanent deal. As part of the deal, Torino defender Matteo Rubin has moved in the opposite direction on a co-ownership deal. However, as full back Rubin has not played for Torino since 2010, after loan spells at Bologna and Parma, then it shouldn't be too much of a loss for Toro. Torino have made two more acquisitions ahead of their return to Serie A, with Gianluca Sansone arriving from Sassuolo and Mario Santana from Napoli. Striker Gianluca Sansone has signed on a co-ownership deal from Serie B side Sassuolo, fresh from scoring an impressive tally of twenty goals last season - the best scoring season of his career. The second new arrival is Argentinean winger Mario Santana who has signed on loan from Napoli. Santana has played for a number of Italian clubs, including Palermo, Chievo and Fiorentina and will add some much needed depth and experience to the Torino squad. These two players take Torino's summer signing total to four - including Roma midfielder Matteo Brighi, who despite training with Toro, has still not been officially announced as joining the club. With Toro departing for their pre-season training camp in Sappada today, Giampiero Ventura will want to add a few more new faces to the squad as quickly as possible, with Siena midfielder Alessandro Gazzi apparently close to signing. With Torino beginning their pre-season training camp on Monday, Giampiero Ventura has made two signings in order to strengthen their somewhat depleted squad. Experienced goalkeeper Jean-François Gillet has signed on a three year contract from Bologna, and the Belgian stopper has now been reunited with Ventura, who was his one of his many coaches at Bari. Gillet is sometimes referred to as Il Gatto di Liegi (The Cat from Liege) and is known for his good reflexes and his ability to begin attacks from the back with his feet. Torino have also re-signed full back Matteo Darmian from Palermo, this time on a co-ownership deal. The former Milan defender spent last season on loan at the club, and was one of Torino's most impressive performers, so his acquisition is certainly a boost. With pre-season beginning imminently, Toro are almost certain to make a few more signings before Monday, with Djamel Mesbah, Alessandro Gazzi, Matteo Brighi and Gianluca Sansone being heavily linked.